Great news from your favorite fashion authority, SM! First up, the SM Accessories Sale. 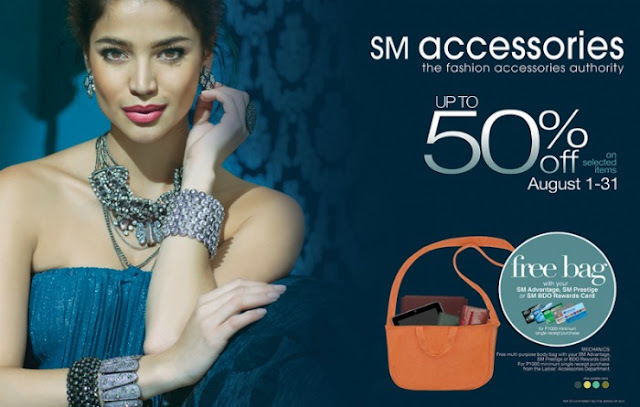 Enjoy up to 50% off on selected items from August 1-31, 2013 plus get a free bag when you use your SM Advantage Card upon purchase. See poster below for additional details. Next up, The SM Store's 3 Day Sale Tweet-Day Sale Blowout! 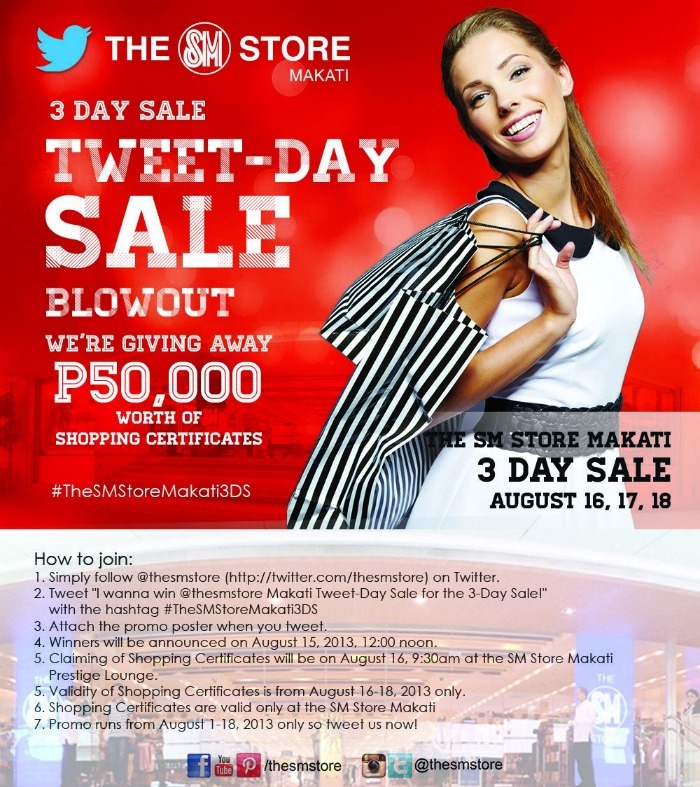 The SM Store Makati is giving away P50,000 worth of shopping certificates!!! 10 lucky winners of P5,000 each will be picked to shop at The SM Store Makati! Let's go guys!!! • Simply follow @thesmstore (http://twitter.com/thesmstore) on Twitter. • Attach the promo poster when you tweet. • Winners will be announced on August 15, 2013, 12:00 noon. • Claiming of Shopping Certificates will be on August 16, 9:30 am at the SM Store Makati Prestige Lounge. • Validity of Shopping Certificates is from August 16-18, 2013 ONLY. • Promo runs from August 1-16, 2013 only so tweet us now!